Short Product Description: Handcrafted Artisan Soap made from my herd of goats through Cold-Process method. Handcrafted with Goat milk from my Nubian and Nigerian Dwarf herd. 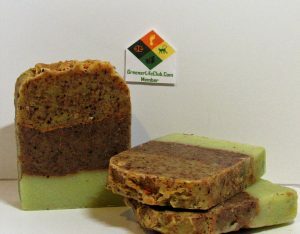 Many users find this soap very gentle, it does not have any aromatic Essential Oils. General disclaimer: Certain Essential Oils should not be used during pregnancy or by those with sensitive skin or certain Allergies; please educate yourself prior to purchasing. 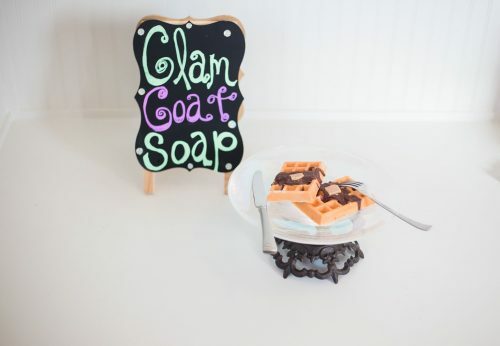 Always store Cold Process Soaps on a soap dish that drains properly to maximize life of the soap. Little pegs that raise the soap so air circulates underneath is best. Made on the Glam Goat farm in Ponder, Texas.